Building on the momentum of the #IDesignHere social media campaign, our two organisations have decided to join forces and share some of the brilliant stories behind #IDesignHere. 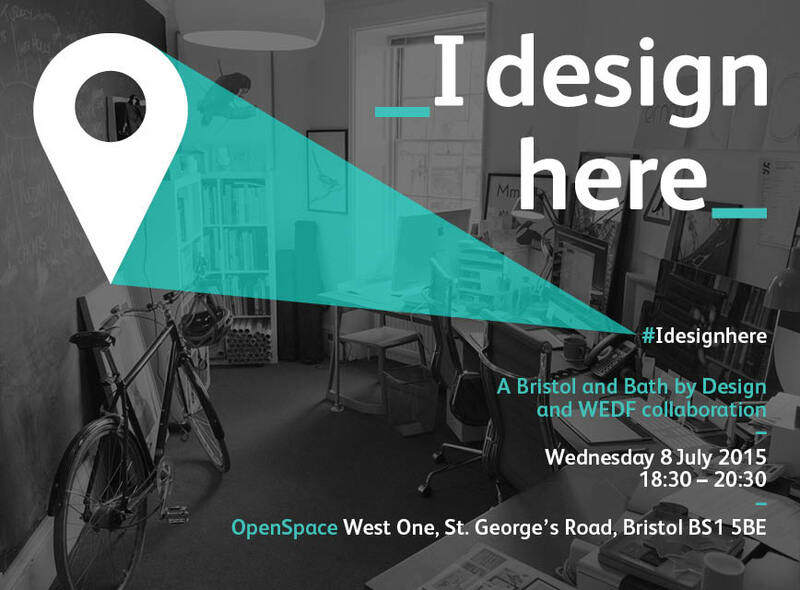 We’ve asked people working in design across Bristol and Bath to give us sneak peaks into their design studios and it’s been inspiring! What do their studios look like? How does this space feed their creativity? What are the quirks of the studio? How did they come to be here? What do they need on their desks to keep their creative juices flowing? I Design Here is your opportunity to join us for an offbeat evening, celebrating our passion for our studio spaces. 8 people working in design, with exceptional studios, share five-minute talks, explaining why they design here. Join us for drinks and nibbles and get an insight into their (possibly) weird and wonderful studio spaces. You can also choose to have your workspace featured on the night by tweeting us a pic of where you work ahead of the event. Just remember to use #IDesignHere, and of course, there’s still time to tell us what you think of design in the region by completing our survey. Go on, stand up for design! Located in the centre of Bristol, the European Green Capital 2015, OpenSpace is a new event venue dedicated to brainstorming and showcasing ideas. With 2000 sq ft OpenSpace in an award-winning building with impressive environmental credentials, OpenSpace maximises flexibility and inspires creative thinking. It’s a place to celebrate brilliant ideas and a space to explore your own ideas – for work, for play, for learning, or just for the hell of it. It features the UK’s largest magnetic whiteboard (312 sq ft).